Item Number: H20-A1017FN Have a question about this item? 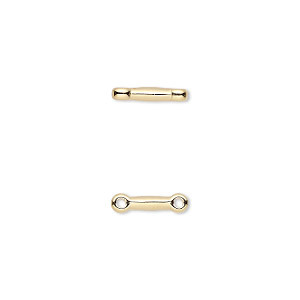 Versatile double-hole design is great as a link, for earring drops or single to multiple strand transition pieces. 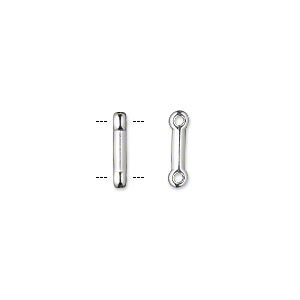 Group several bars together to create stretch rings, bracelets, watch bands and other jewelry designs using elastic stretch cord. 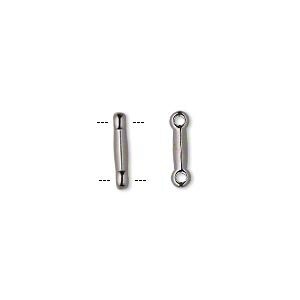 Create highly popular cocktail rings using elastic stretch cord and approximately 20 "pewter" (zinc-based alloy) spacer bars to make a size 7 ring. The gold plating allows for long-wearing style. 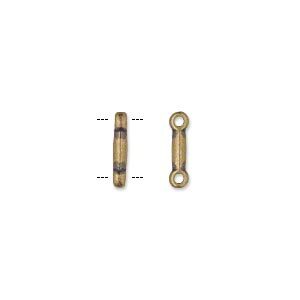 Spacer, antique gold-plated "pewter" (zinc-based alloy), 11x3mm double-eye bar with 8.5mm base. Sold per pkg of 50.